10 FREE Holiday Cards! Just Pay Shipping! You are here: Home / Great Deals / Christmas Deals / 10 FREE Holiday Cards! Just Pay Shipping! 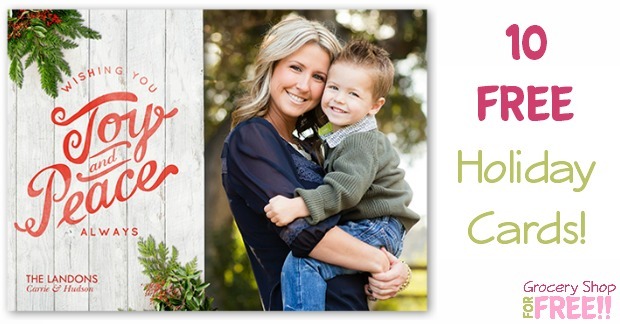 You can get 10 FREE Holiday Cards from Shutterfly! Just use promo code: FREE10 at checkout! You’ll pay shipping which is around $5.99. This offer is valid on 6×8, 5×7, 5×5, 4×8 flat, 5×7 folded or 5×7 trifold cards.